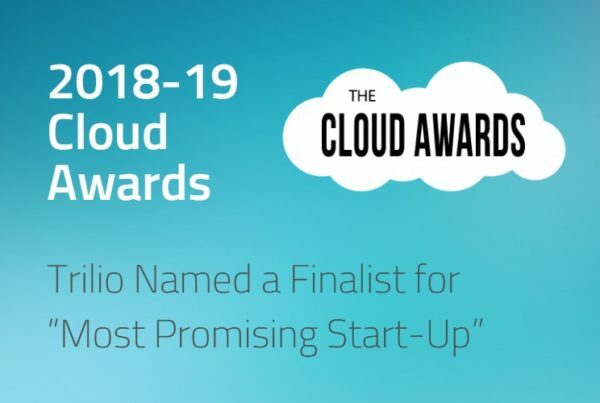 HOPKINTON, MA – Nov 17, 2015 – Trilio Data, the creators of the first Backup-as-a-Service specification for the OpenStack community, Raksha, has been named to CIOReview Magazine’s list of 20 Most Promising OpenStack Solutions Providers. Trilio Data’s Backup and Disaster Recovery (DR) Solution was selected based on its flexibility, policy-based incremental-forever architecture, and the groundswell of interest the solution is receiving from Fortune 500 firms. Trilio Data was selected by a panel of experts and members of CIOReview’s editorial board. “CIOReview’s list of top promising OpenStack solutions providers is a valuable resource for companies looking to benefit from OpenStack solutions, while also ensuring the products are able meet the requirements of mission-critical IT operations,” said David Safaii, CEO, Trilio Data. Trilio Data’s solution is a tenant drive, agent-less, non-disruptive and incremental backup service for OpenStack. With the solution, users can either selectively or with one-click restore production or clone point-in-time data for both development and testing. The solution has built-in high availability and scalability, with the option to replicate data for disaster recovery. CIOReview constantly endeavors to identify “The Best” in a variety of areas important to tech business. Through nominations and consultations with industry leaders, its editors choose the best in different domains. The OpenStack Special Edition is an annual listing of 20 Most Promising OpenStack Solution Providers in the U.S.
Trilio Data, headquartered in Hopkinton, Mass., is an innovator in OpenStack backup and recovery solutions. The company was founded by technologists who, combined, have more than 45 years of experience at some of the world’s largest storage vendors. Trilio Data was founded to meet the needs of an ever-changing, growing, complex, and scalable database environment, where flexible and intelligent backup and recovery solutions are no longer a “nice to have” — instead, they are critical components of a comprehensive IT strategy. For more information, visit www.triliodata.com or call .